OK! Enough holiday shenanigans. 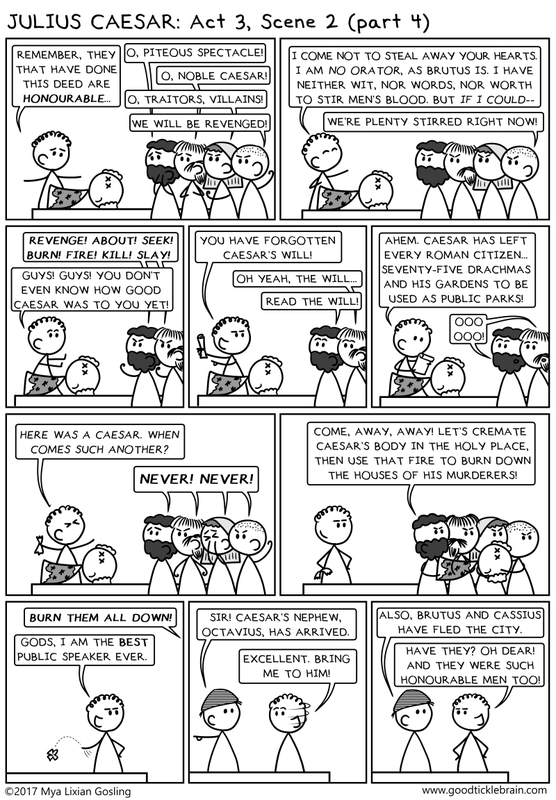 Let's get back to Julius Caesar. If you remember, when we last left Antony, he was in the midst of making the speech of his life, having just exposed the bleeding body of Caesar to the extremely easily persuaded mob.